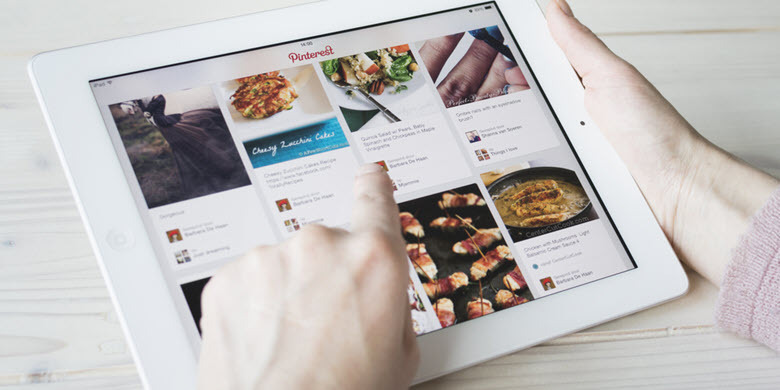 Pinterest is rapidly morphing into a vibrant platform for existing and upstart businesses. In fact, no longer is the site relegated to just social, hobby and personal pins. As an inherently visual interface, more companies are taking to the network for brand awareness via strategic ads and link-worthy posts. With this in mind, it is crucial to get your images right for aesthetic and marketing appeal. Remember, you need captivating and compelling pins to entice and engage niche or mass audiences. Therefore, it is essential to choose and size the right imagery for higher visibility, likes and follows. When choosing an image for Pinterest, think vertical. Most of the platform’s formats are taller than they are wide. In fact, the folks at Pinterest recommend using a 2:3 aspect for all business-related pins. This may include new marketing campaigns, along with product launches or updated service offerings. This aspect ratio allows for better placement of content and links within your creative pins. Yes, we’ve all heard this term before across the social media realm. From Facebook to YouTube, the aspect ratio is simply an image’s width as compared to its height. Therefore, a 2:3 aspect ratio equals an image width that is 2/3 its height. For example: if your pin is 1,000 pixels wide by 1,500 pixels height, this ratio is good to showcase and market your products and services. However, if your image exceeds these specs – it can get blanketed by people’s feeds and the entire pin will not be visible. Make sure the images stand out in people’s feeds. Use vibrant, clear and attractive visuals to separate your brands from the rest. Give people context about what it is you are offering to the public. For example, you may sell baseball equipment but specialize in metallic bats. Therefore, your pins should reflect these specialties with high-end imagery and storytelling. Avoid stock photos and abstract imagery that offer little to nothing for your brands. Use direct images of your products to keep your social marketing intact and aligned with lead and customer generation. Advertising on Pinterest is not just about uploading images and videos. In fact, the platform assists users with different content formats and specifications. Whether for social media experts, digital marketers, or content specialists, you can select from standard Pins to multi-image carousels. This gives your images more substance, while effectively putting online marketing campaigns into fruition. Standard pins are compatible with JPEG or PNG images. You can upload images up to 10 MB. As mentioned earlier, the 2:3 aspect ratios (1000 x 1500 pixels) are best for business pins. Pins that exceed these specs will get cut off in user’s feeds. Your title can be up to 100 characters, while your description should not exceed 500 characters. For the latter, put your most important information first since 50-60 characters will show up in user’s feeds first. Similarly, pins without titles will only show the descriptions of the pins. With this in mind, you need captivating titles that will complement your images across all pins. These are some of the essentials of proper image sizing on Pinterest. You can learn more about organic pins, as well as adding files and attachments using their style guides and recommendations.